One of the best probiotic foods is live-cultured yogurt, especially handmade. Look for brands made from goat milk that has been infused with extra forms of probitoics like lactobacillus or acidophilus. Goat’s milk and cheese are particularly high in probiotics like thermophillus, bifudus, bulgaricus and acidophilus. Be sure to read the ingredients list, as not all yogurts are made equally. Many popular brands are filled with High Fructose Corn Syrup, artificial sweeteners and artificial flavors. Yes, we did say chocolate! A good, high-quality dark chocolate has four times the amount of probiotics as many forms of dairy. This is only one of the health benefits of chocolate. Remember to eat chocolate in moderation. Miso is one the mainstays of Japanese traditional medicine, and is commonly used in macrobiotic cooking as a digestive regulator. Made from fermented rye, beans, rice or barley, adding a tablespoon of miso to some hot water makes an excellent, quick, probiotic-rich soup, full of lactobacilli and bifidus bacteria. Beyond its important live cultures, miso is extremely nutrient-dense and is believed to help neutralize the effects of environmental pollution, alkalinize the body and stop the effects of carcinogens in the system. Believe it or not, the common green pickle is an excellent food source of probiotics. Try making your own homemade pickles in the sun. Here’s a great set of instructions for making your own probiotic-rich dill pickles. A great substitute for meat or tofu, tempeh is a fermented, probiotic-rich grain made from soybeans. 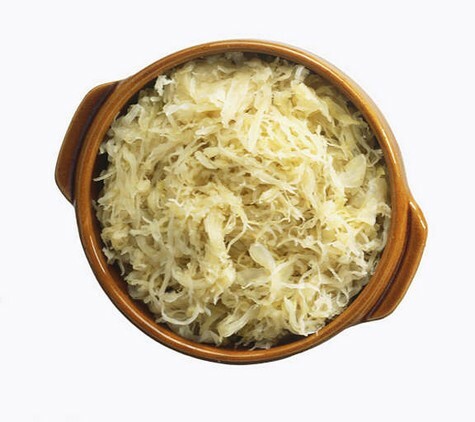 A great source of vitamin B12, this vegetarian food can be sautéed, baked or eaten crumbled on salads. If prepared correctly, tempeh is also very low in salt, which makes it an ideal choice for those on a low-sodium diet. Besides from the list of probiotic foods above, you can also get plenty of beneficial bacteria by taking a probiotic supplement. Tagged dark chocolate, fermentation, kefir, kimchi, miso, probiotic, sauerkraut, tempeh, yogurt. Bookmark the permalink. I am all about getting plenty of probiotics and love most of the items in your list. The only one I can not stomach is sauerkraut. The smell of it makes me want to vomit. I LOVE kombucha though. Hoping to start making my own soon.